1. Click on the discount link that you've received from our support or customer success team. All discounts follow the same format: https://app.paymoapp.com/?discount=XXXXXX#Paymo.module.subscription/, with the XXXXXX being replaced by a unique identifier. 2. 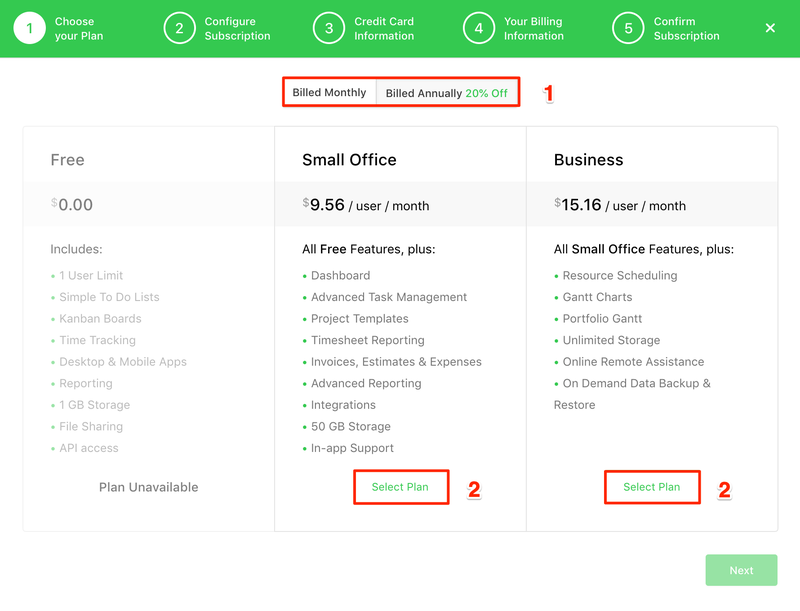 Choose your plan (at the bottom) and the payment frequency (on top). Remember that you can benefit from a 20% discount if you go for the Billed Annually option. 3. Add the total number of users. 4. 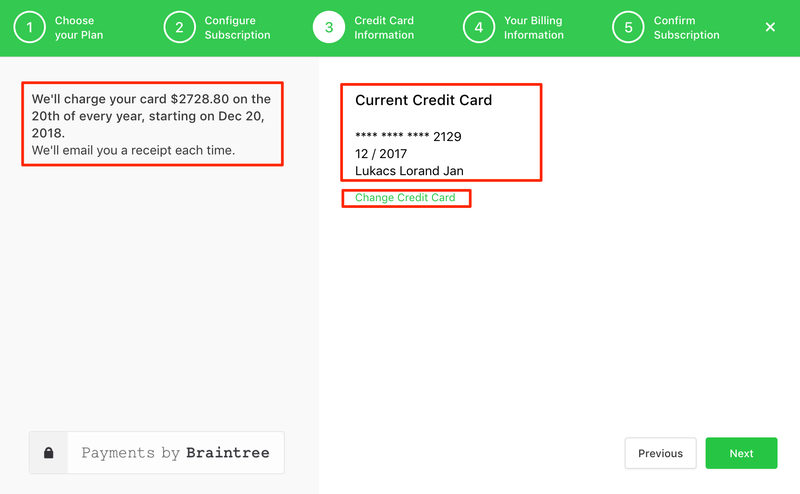 Add the credit card information - here you will be able to confirm your current credit card or change it with a different one. 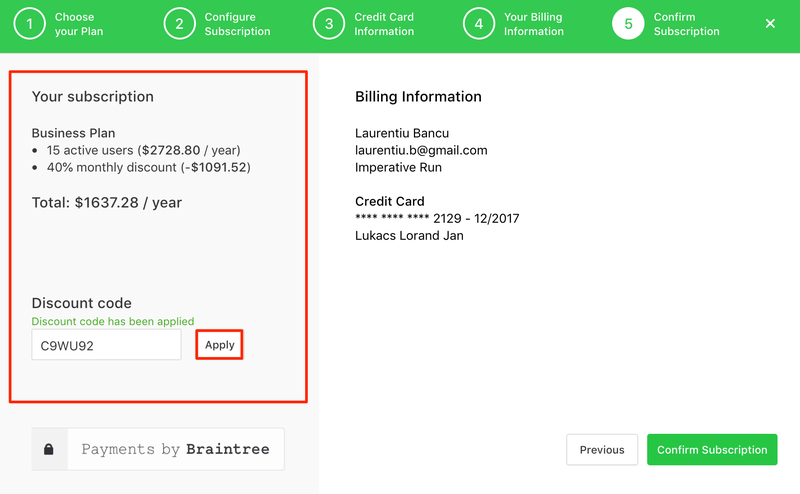 Also you will see the date your billing cycle will start on. 5. 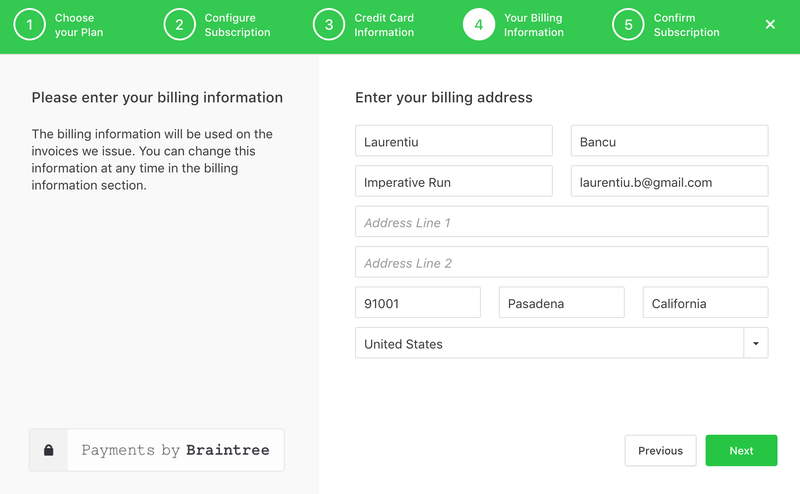 Confirm your billing information - and if you're outside of the US and have a VAT code accepted by VIES you will be able to add the VAT code in this step. 6. Apply your discount code - the discounted amount will be displayed together with a confirmation. 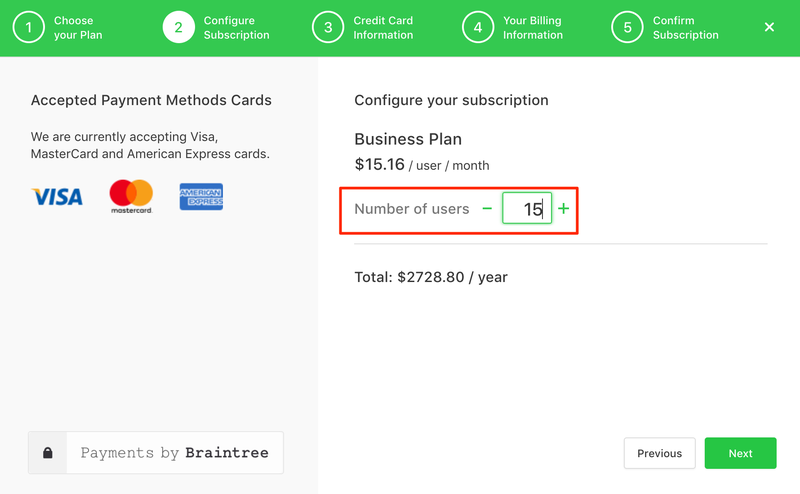 Note: If you're already a paying user, you first need to cancel your subscription to benefit from the discount. Once you've done this, follow the steps outlined above.